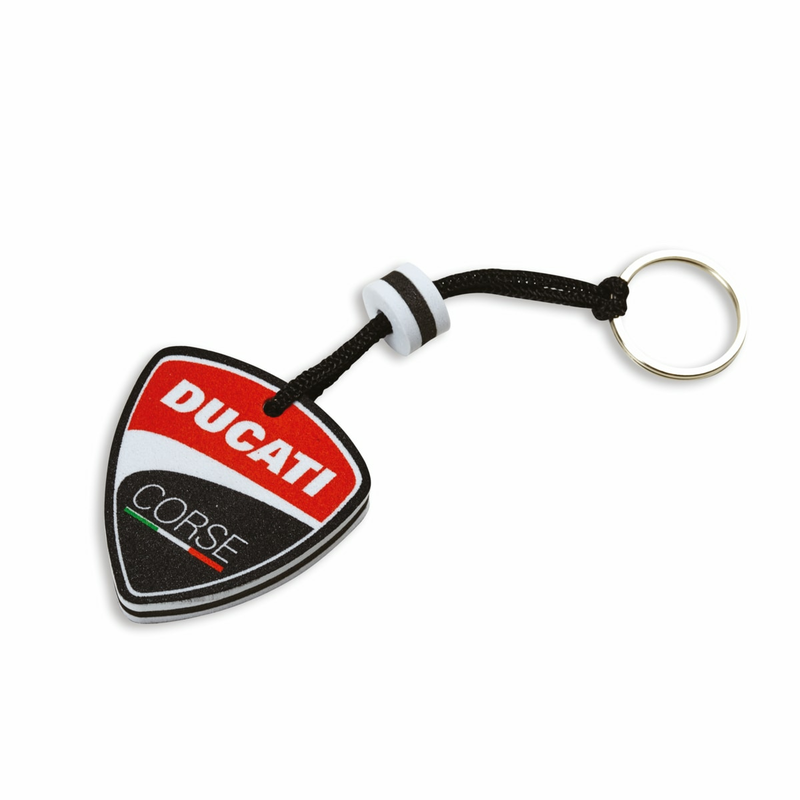 The new Ducati Corse Wave key ring... floats! Created in EVA, it is the perfect accessory for all Ducatisti. Colourful and practical, it stands out for its all-round customisation with the Ducati Corse shield.